Hey Ladies we have for you today free pattern by Mango Tree Crafts. It’s Flower Applique. It’s spring outside and and we can wear beautiful dresses and clothing without Outwears and other heavy accessories. If you know crochet it means you can make your clothing and everyday life more beautiful and attractive with your hands. Just choose right colors for applique and start crocheting. 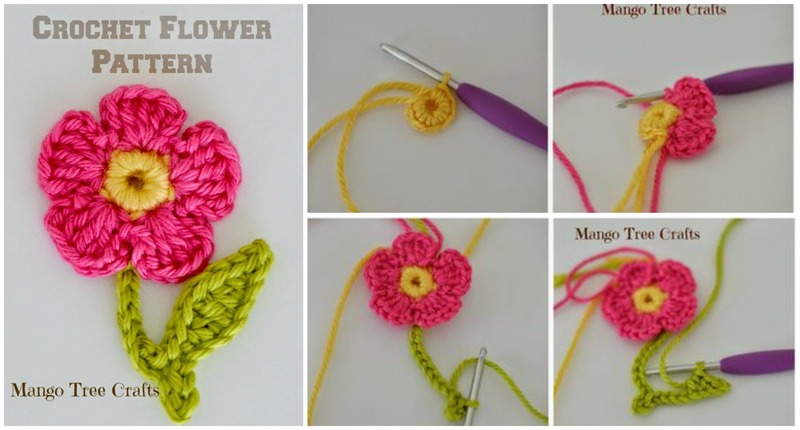 You can also make this flower for blankets and etc. Thank again to authors for free patterns and lovely design. Please enjoy.